Managing a property is sometimes a difficult task. Problems crop up on a regular basis which managers must tactfully handle to the satisfaction of tenants who have widely different tastes, requirements etc. When they fail to do so, tenant retention rates can sometimes rise and this can affect the value and reputation of the property in question. 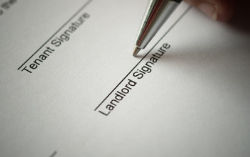 For this reason, managers should always make a good faith effort to address tenant complaints. Here are 5 of the most common complaints that tenants have and the best ways to handle them. Maintenance problems: Most tenants understand that appliances and other mechanical devices fail from time to time. Where property managers can run into problems is at the formal complaint level. Property managers should make the complaint process easy to understand and simple to follow. Managers should also make every effort to address these kinds of issues to the satisfaction of their tenants. Bad communication and customer service: Unanswered calls, rude response, false promises all run contrary to what good customer service is supposed to be. Strive to create a productive and friendly rapport with tenants. Great customer service begins with relationship building. Parking: Most of us know how frustrating it can be to find a car parked in a parking bay that is supposed to be ours. This can be because other tenants or their guests have thoughtlessly decided to use an extra space. Be sure that your parking policy is clearly posted and enforced so that you will not subject your tenants to this major inconvenience. Maintenance and building upkeep: There is no excuse for a property to be poorly maintained. Rundown buildings and grounds hurt property values and can demoralize tenants. Always endeavor to keep your property well maintained. Make sure that issues such as cracks in the sidewalk, etc., are quickly addressed. Noise: Tenants are entitled to the “quiet enjoyment” of their property in just about every jurisdiction. Loud, excessive noise originating from other units, nearby buildings and from the street can diminish this right. Make sure that the noise issues that you can correct are addressed and that noise policies are posted for all residents. Finally, our property management inner loop company can help owners address all of these common issues and many more. Doing so in the correct way is the key to maintaining high retention rates among residents. Tenant satisfaction is also important in growing the reputation of your properties. Of all the property management companies in Houston we work the hardest at pleasing tenants and owners.